Groundbreaking eyeliner	formula goes on as a gel and quick dries into an indelible liner that will not budge until you wash it off at night. Lasts through sweating, crying and everyday activities. Perfect for people that have trouble	keeping eyeliner on. 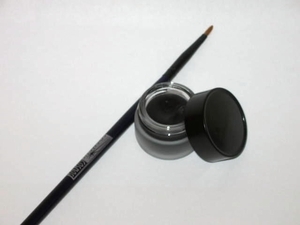 Comes as a set with thin, pointy natural hair eyeliner brush for ultra-precision lining.